Dentures are acrylic resin replacement for natural teeth. By choosing custom-fitted dentures, you can improve chewing and speaking while also helping encourage facial muscle support. 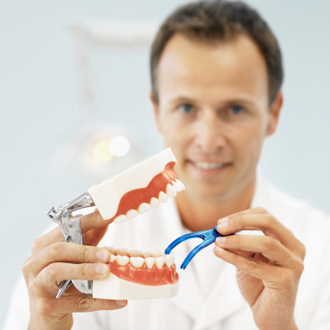 The two types of dentures are complete and partial. Complete dentures are used when the client has lost the majority of their teeth on the top or the bottom. Partial dentures are recommended if you still have some teeth remaining but wish to maintain the stability of your alignment. It is normal to feel awkward when you’re getting used to your dentures. Your mouth should eventually get accustomed to them, although you will probably need practice taking the dentures in and out. Your dentures are supposed to go into place easily, so do not force your partial dentures into place or you could damage them. To keep even pressure, practice chewing food on both sides and avoid hard or sticky food. To clean your dentures, brush them daily to avoid staining and remove any food or plaque. Invest in a special denture brush and avoid hard bristle brushes. It’s also important to keep brushing any natural teeth you have, especially those under the metal clasps. If you have complete dentures, you should still brush your palate, gums and tongue. 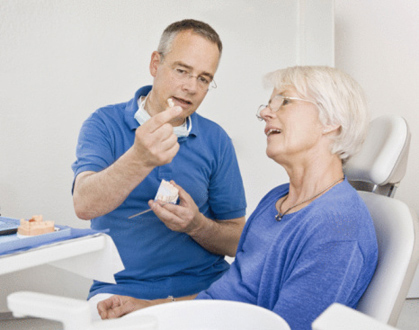 Necessary adjustments to dentures are normal because your mouth naturally changes as time passes. Improperly fitting dentures can cause many health problems including infections, so it’s important to have them professionally adjusted to ensure their stability. If you have any questions about adhesives or the denture fitting process, please let us know. implants are an alternative to traditional dentures. Connected to the jawbone or sometimes to a synthetic framework, an implant is a foundation for an artificial tooth. They can also be used to attach bridges and dentures. If you only have a few missing teeth, this can be a more convenient permanent solution compared to dentures. Practically anyone who needs a tooth replaced can benefit greatly from dental implants. Because your jawbone starts to dissolve right after you lose a tooth, it’s important to preserve the bone as much as possible through implants. You might qualify for dental implants if you have a healthy and strong amount of bone left in your jaw. If there is damage to your jaw bones, there are still other implant alternatives. 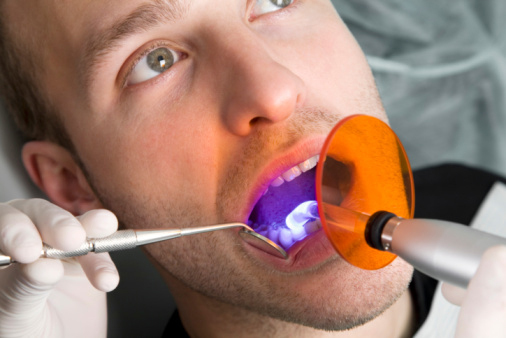 It’s important to set up implants as soon as possible after tooth loss. A dazzling smile can give you a boost of confidence and at Kawartha Denture Clinic, you have two whitening choices. You can either use our home bleaching system or our one hour in-office bleaching. Both systems have their pros and cons, but both can help you get the beautiful smile you deserve – Contact Kawartha Denture Clinic to Find Out More.